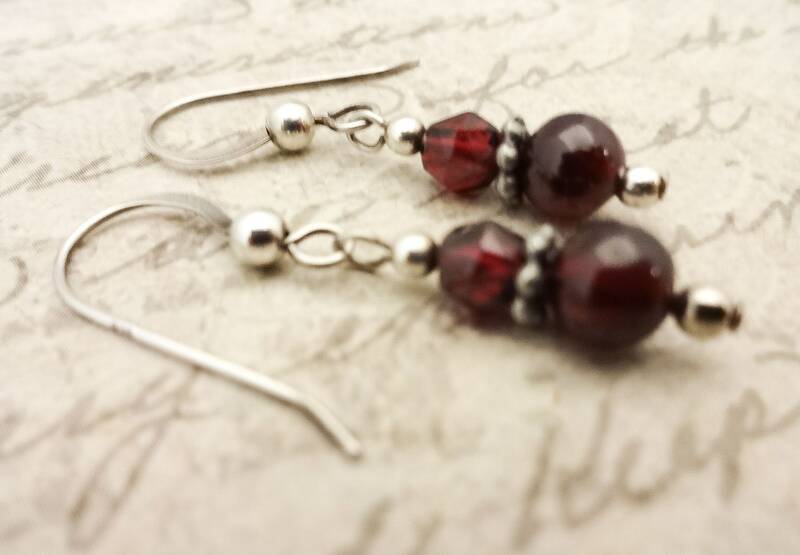 These Garnet earrings are simple, minimalist and extremely lightweight. The smaller 5mm bead is faceted while the larger bead is smooth and round. 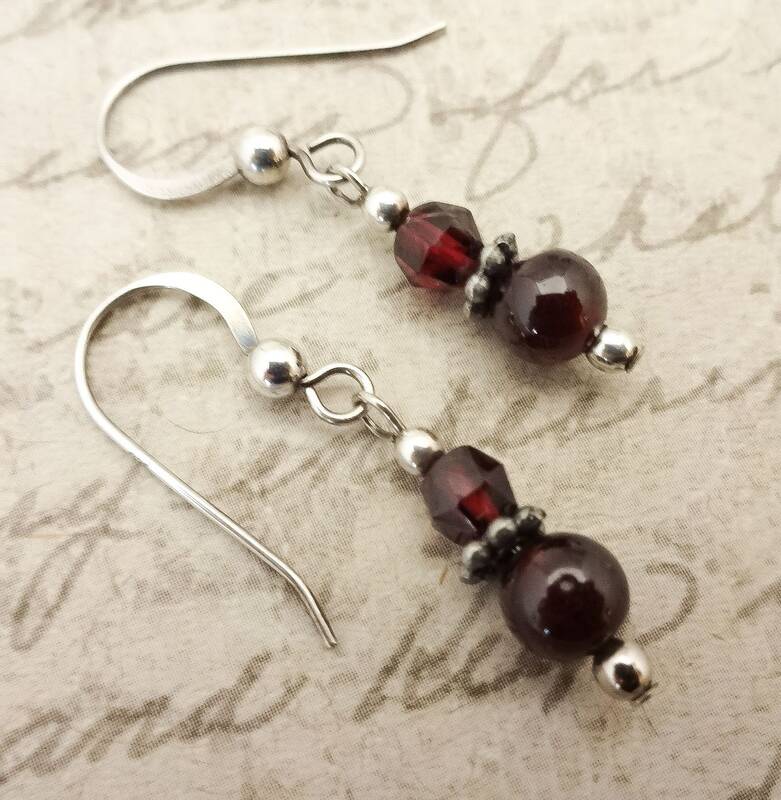 Small round Sterling Silver beads bracket the stones with a small pewter daisy spacer between the garnets. 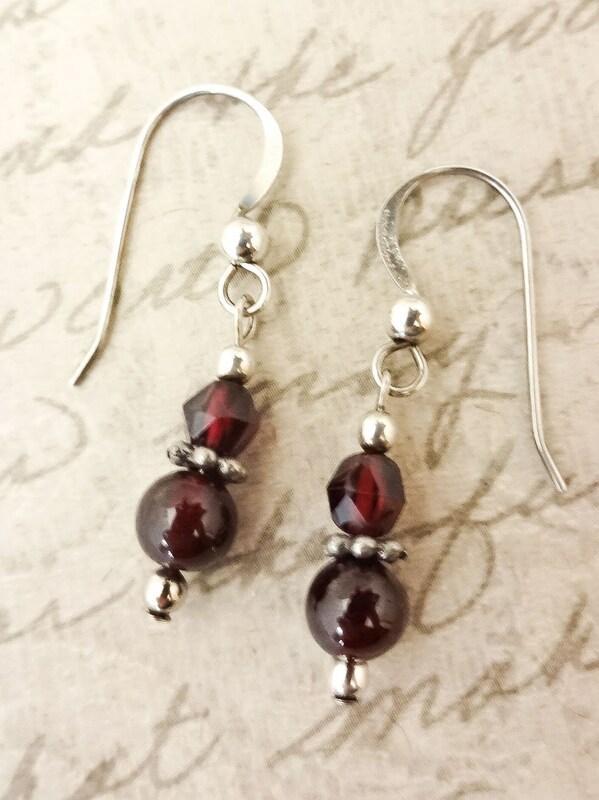 Sterling Silver French hook ear wires are shown. 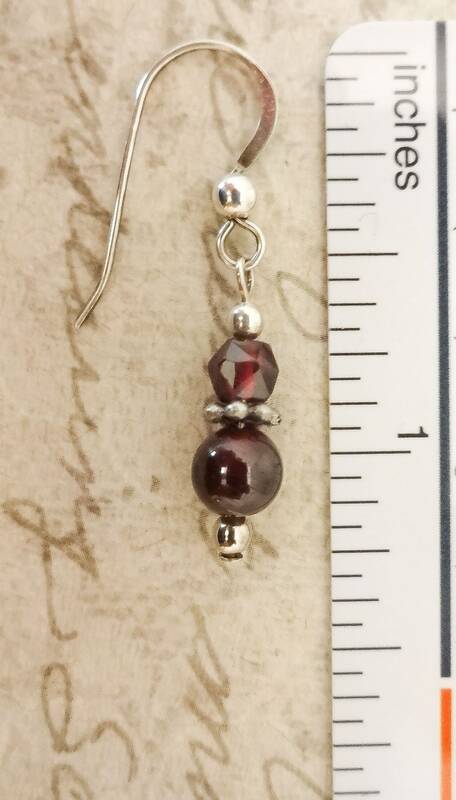 Total earring length from the top of the wires is about 1.25 inches. 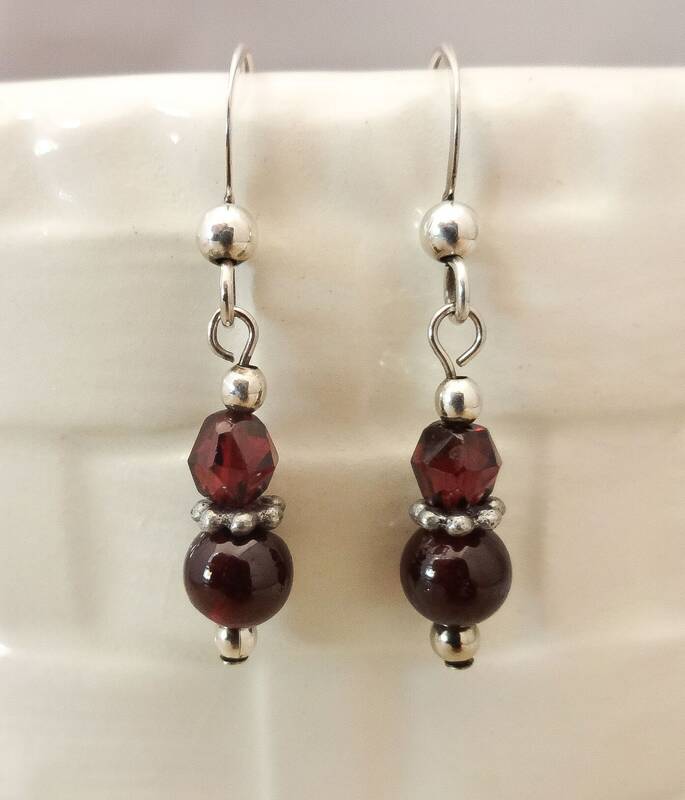 Garnet is the birthstone for January birthdays.